Willow Grace: Where am I? Does it look like I'm in some humid swampy area, maybe the bogs of Louisiana? Nope, this is just 4 miles from our home. 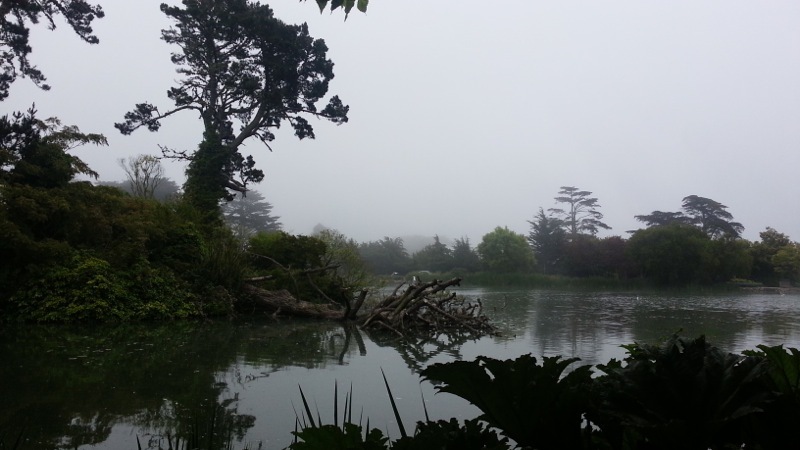 Stow Lake in Golden Gate Park. Foggy, cold, wet and moist. Yes, it's summer in San Francisco! was this from today? the weather was a bit grumpy wasn't it? i called it Lifetime-Television-For-Women kind of day, and it was for me.